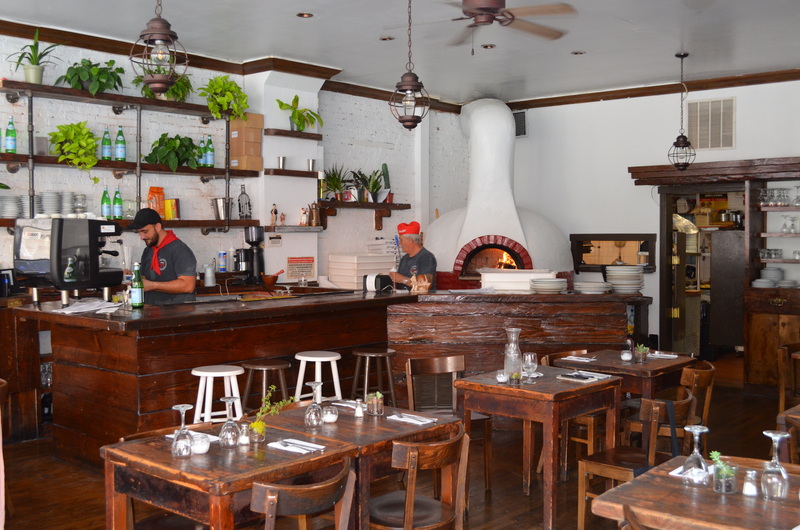 PARK SLOPE – Pizza Secret has finally opened in the former Locanda Peperoncino space at 72 5th Avenue following a false start. 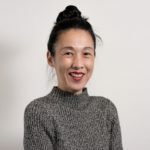 An existing leak in the shared basement below the restaurant caused the NYC Department of Health to temporarily shutter the 5th Avenue newcomer a week and a half after its debut. “I was sad because [I was] opening my dream and then it’s shut down,” he recalls. “It’s like, ‘What did you do to me?’ I was almost crying.” Granieri hired a plumber to make the necessary repairs and was given the okay to reopen last Friday. 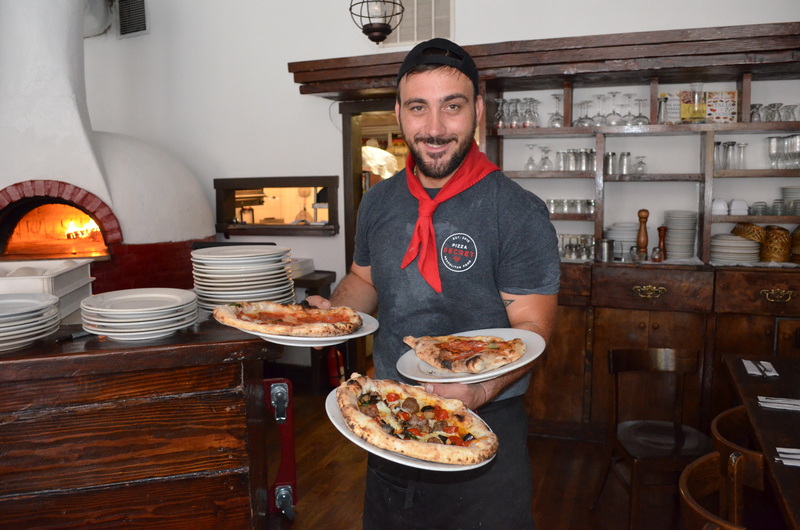 Originally from Naples, Italy, Granieri is a third generation restaurateur. 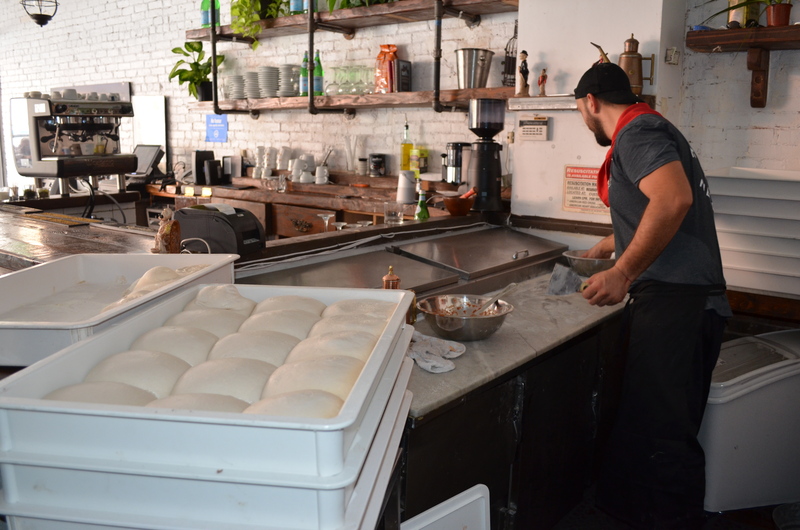 “My grandfather, my father, me and my nephew are pizza-makers,” he told BKLYNER on a bustling Sunday afternoon at the restaurant. 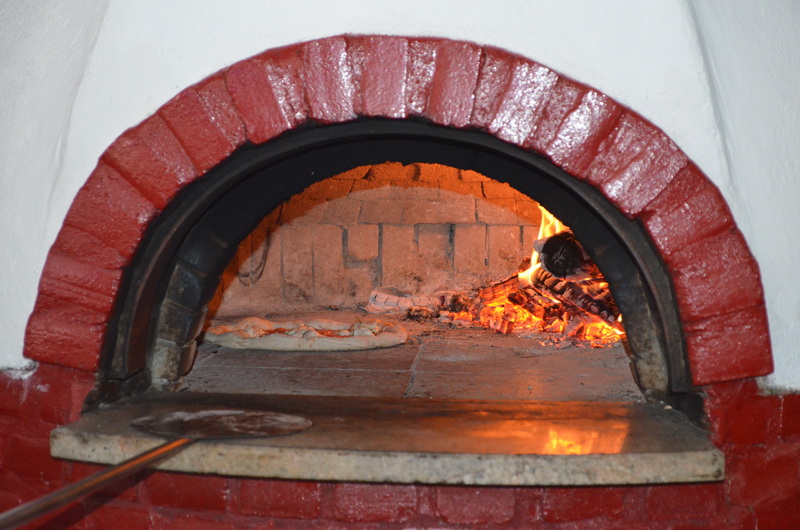 Granieri’s parents own Pizzeria Miracoli, one of the oldest pizzerias in Naples, he explained. “Hanging out at the restaurant with my family, I always tried to help. My first pie that I made by myself, I was 5-years-old,” he remembers. 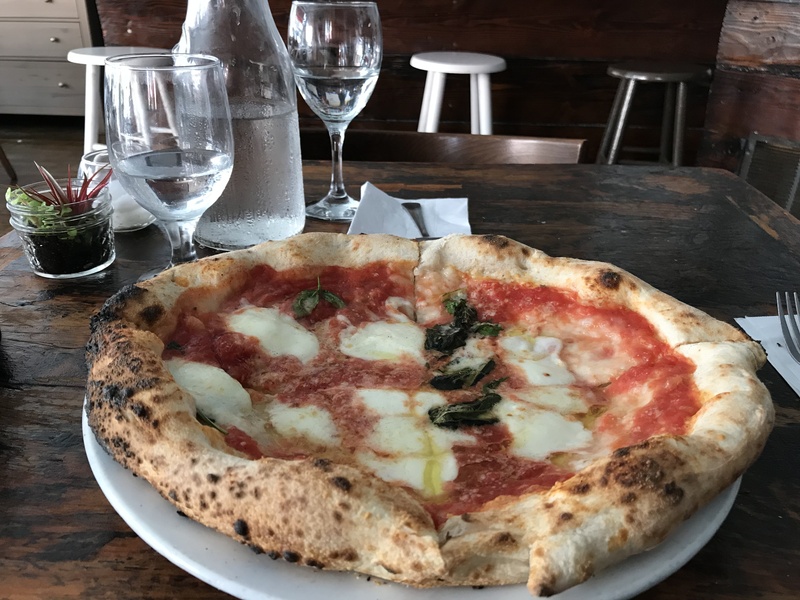 He then met a restaurateur who wanted to open a business in the United States, so Granieri crossed the Atlantic to launch OroPomodoro in Washington, D.C. 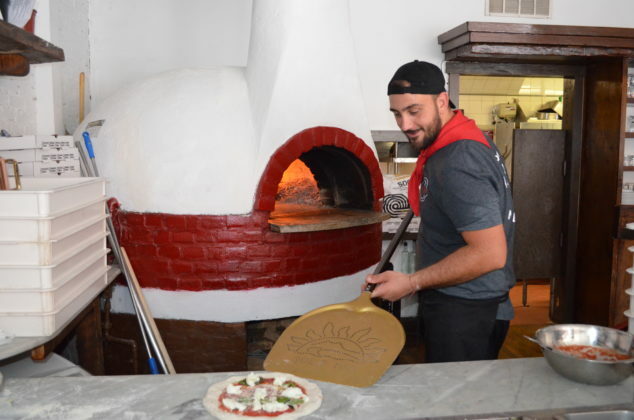 In 2009, the young chef set out on his own and opened his own pizzeria, Pacci’s in Silver Springs, Maryland. 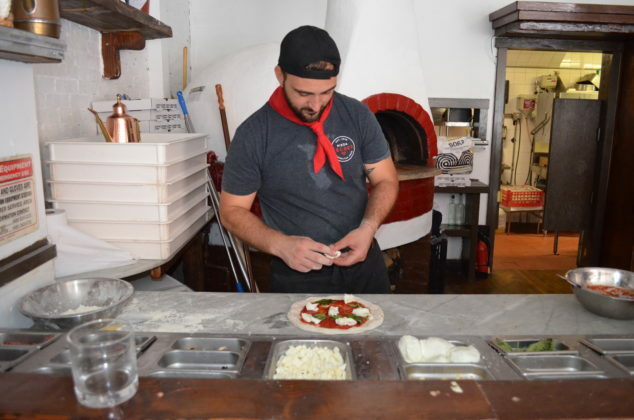 The success of that eatery led him to launch another business ten months later, Pacci’s Trattoria, where he served fresh pasta dishes created using his grandparents’ recipes. 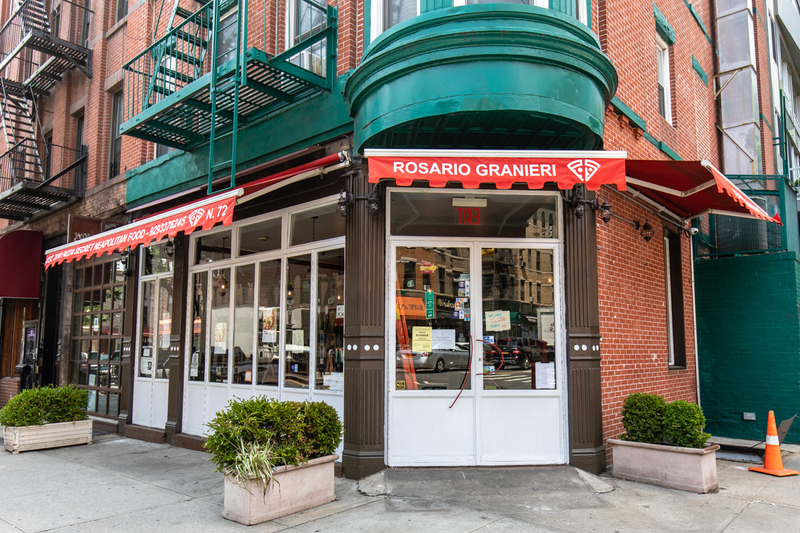 While successful, Granieri said he found it difficult to run two restaurants with his limited English, so when Eataly came calling in 2011 he decided to make another change. “Eataly contacted me and asked me to come back to Rossopomodoro because they opened a Rossopomodoro inside Eataly,” he explained. “I sold my part [in Pacci’s] and moved to New York because it was always my dream to be in New York…. I was in charge of all pizzaiolos at Eataly in U.S.A.” However, after six years, Granieri was ready to launch his own business again. 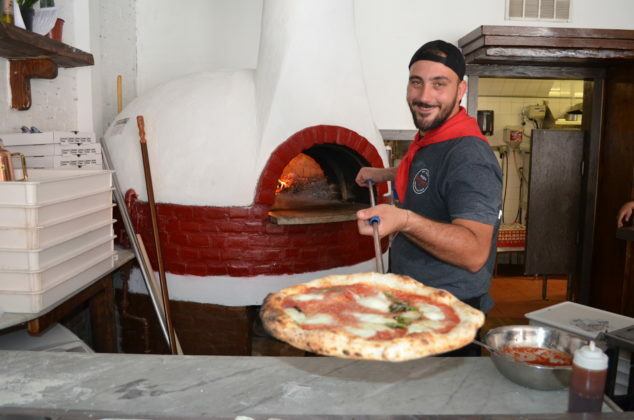 Granieri also plans on hosting pizza-making classes. 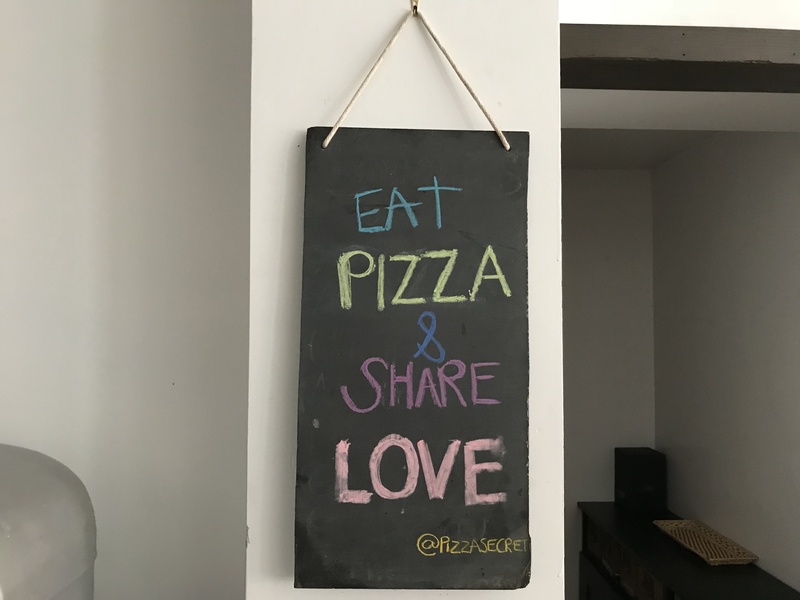 “I love pizza class because it’s a fun time. 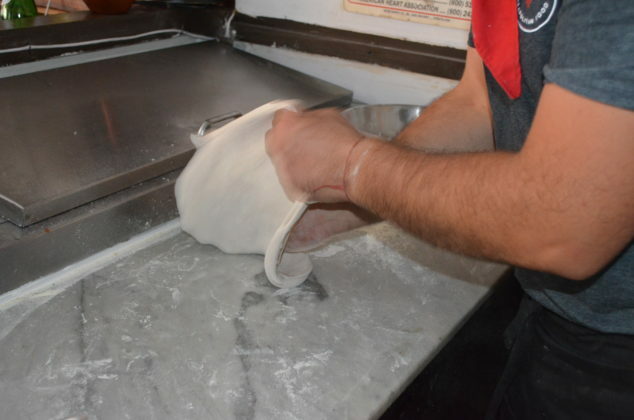 You share the technique of pizza, the dough and the history,” he insists. In the future, he plans to also host gnocchi- and pasta-making classes. 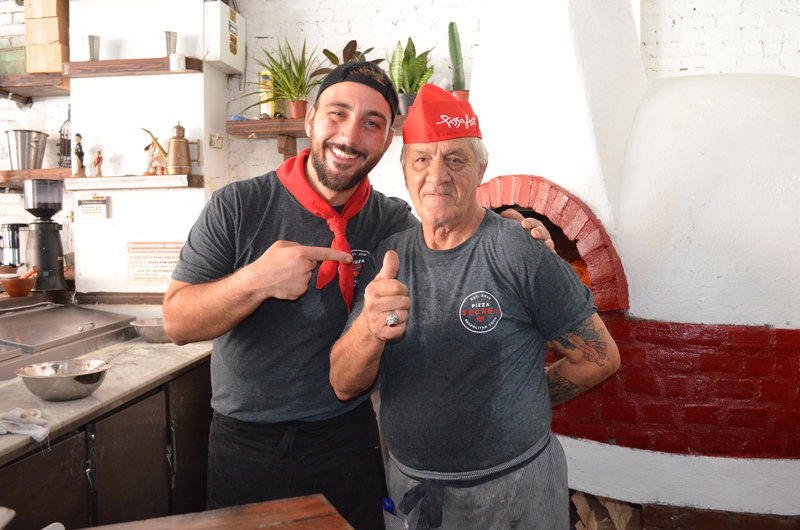 After telling the history of the Margherita pizza—in 1889 a pizzaiolo named Raffaele Esposito created a special pizza for Italy’s Queen Margherita when she visited Naples using red tomatoes, white Buffalo mozzarella, and green basil (the colors of the Italian flag)—Granieri shot up from his seat and went behind the counter to make Pizza Secret’s signature pie using tomatoes and mozzarella imported from Italy and fresh basil (Margherita $14). The dough, which he lets rise for 48 hours, is placed in the 1,000-fahrenheit wood-fired oven between 75 to 90 seconds where it becomes a light, fluffy crust. The completed pie receives a quick drizzle of olive oil before being served. 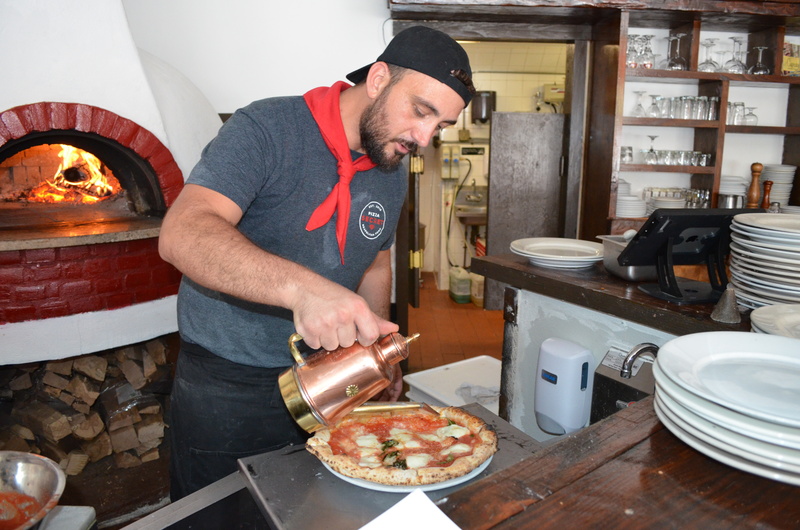 Based on Granieri’s affable personality and delicious pizza, it’s no secret that he loves what he’s doing.